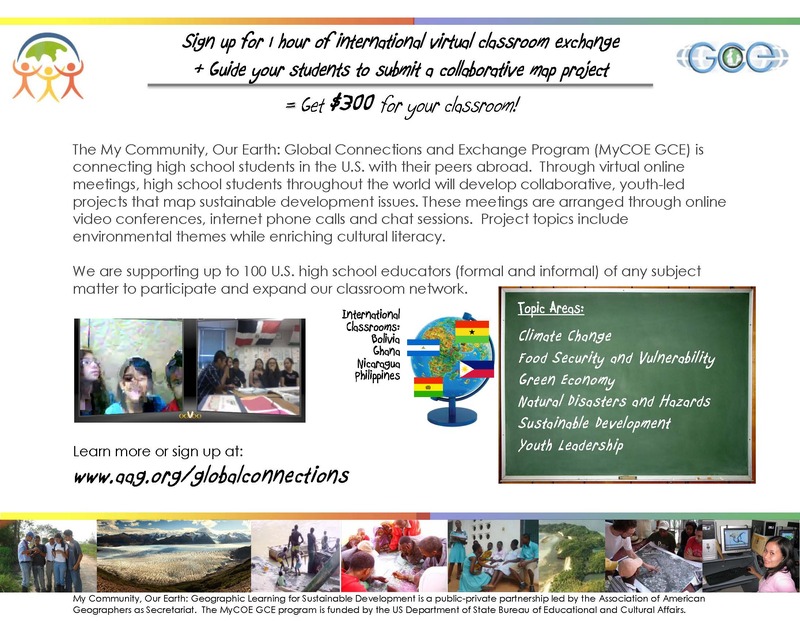 The Association of American Geographers has a program called MyCOE Global Connections & Exchange. The focus is on sustainable development (e.g., climate change, food security) and raising awareness in our local communities via collaborative mapping. The program is open to high school students and teachers can earn $300 for their classroom. See more details here and visit: http://www.aag.org/globalconnections.